For some, bicycling is a sport, but it’s also viewed as a therapeutic activity. By choosing to ride every day, you can enjoy the benefits of better overall health and allow nature to clear your head. To have fun on a bike, you don’t need much. In fact, you can get by with nothing but a bottle of water. The only way you could make riding more enjoyable is by listening to your favorite music while you cruise along. For someone who rides every day, bicycle speakers are some of the best inventions ever conceived. Once you’ve installed a speaker onto your bike, you can listen to top tracks and enhance the bicycling experience. Many modern speakers are waterproof and designed to be compatible with Bluetooth devices. After you’ve used Bluetooth to sync with your phone, you can use your phone service to stream music to the speaker. The newest speakers come with plenty of power and can produce clear, crisp music. They can be easily attached to your bicycle and feature a rugged design. 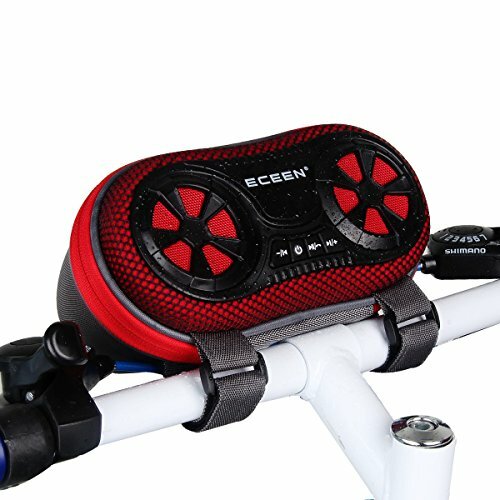 If you haven’t experienced what it’s like to enjoy music while bicycling, then you need to purchase a bicycle speaker and get more from every ride. Below, you’ll find reviews for some of the best bicycle speakers available. The Celtic Blu portable speaker serves several purposes. For enjoyable music, it features a 16-watt stereo, and to generate louder sound, it uses BAS technology. The speaker has a bottle shape and only weighs 1.3 pounds. The battery is designed to last, and it will play up to 30 hours of music. The Celtic Blu speaker comes with Bluetooth connectivity, which has a range of 100 feet. Since it also serves as a power bank, the speaker can be used to charge small devices. It features FM radio and comes with a built-in antenna. 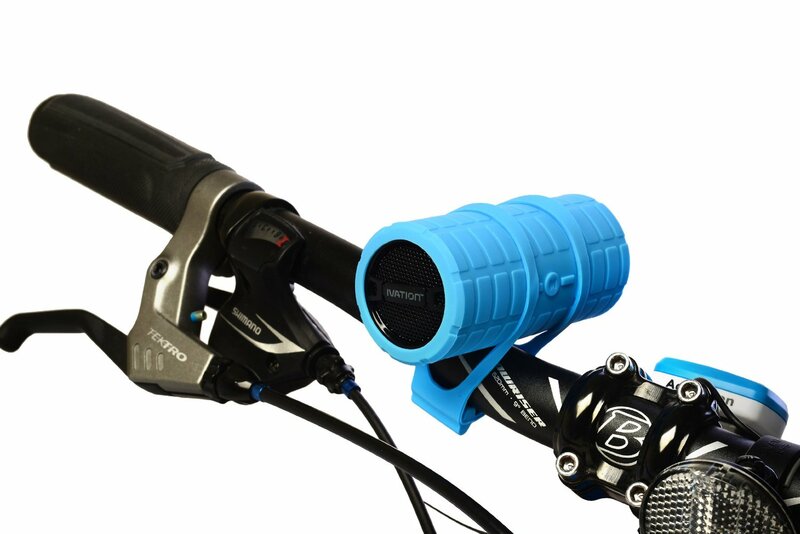 The Celtic Blu bicycle speaker also has a TF slot, which can hold a MicroSD card. You can insert an 8GB SD card and enjoy up to 8,000 songs. 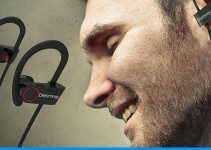 For a strong grip, the speaker uses a carabiner clip and versatile bike cage. Since it will fit in several different positions on your bike, you shouldn’t have trouble finding a spot that is convenient for you. The Venstar bicycle speaker is an affordable product, and it has been trail tested for rugged outdoor sports. This speaker is engineered for trail riding because it’s dustproof, shockproof and waterproof. You should find it useful for outdoor spots, camping, hiking and cycling. With Bluetooth 4.0 technology, the speaker can be synced with a compatible smartphone, and it uses two 3-watt speakers to deliver strong sound. With a built-in FM radio, this speaker will allow you to pick up local FM broadcasting and can play music for up to eight hours at a time. It can even accept an SD card, which gives you almost unlimited choices for music. 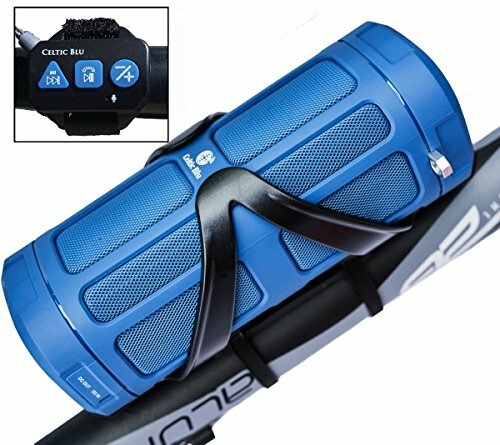 The outer shell of the Venstar bicycle speaker is made of rubberized plastic, and it’s IPX5 rated for water resistance. The mounting hardware is easy to install and shouldn’t take more than a few minutes to complete. 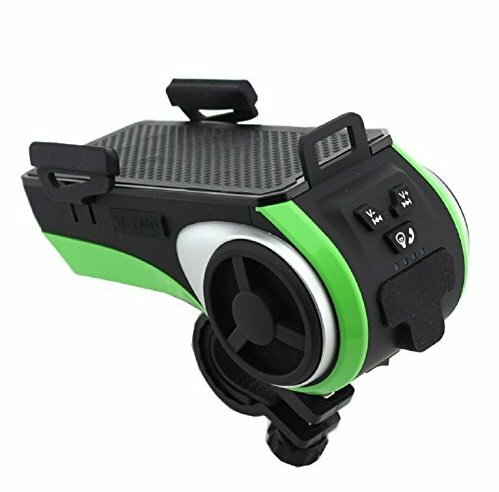 The Avantree bike speaker is easy to use and designed with convenient controls. It produces crisp sound with 10 watts of power and delivers rich bass. With dual five-watt speakers, you can hear the device from a distance. For deeper sounds, it uses a passive bass radiator, and it has been designed to be one of the best wireless speakers for sports activities. It’s great for sailing, hiking, bicycling and camping. 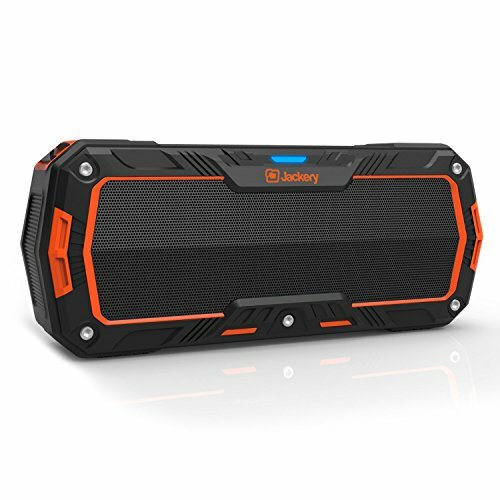 The outer layer of the speaker is shockproof, water resistant and rugged. The Avantree bike speaker features a snap-hook design, belt and mount. It offers three different playing modes, so you can enjoy music the way that is most convenient for you. The speaker has an AUX input, SD card slot and Bluetooth. Since it has a microphone, you can answer calls while riding. The Zealot S1 bicycle speaker can be purchased in several different colors, and it’s designed to be mounted to your bike’s handlebar. It can be connected via Bluetooth and used to play music tracks. For easy calling, it has a built-in microphone, and the control buttons are placed in convenient locations. This speaker can even be used as a torch light, and by pressing the power button, you can activate three different SOS light modes. It supports audio playback from FM, SD cards and Bluetooth. With a 40mm driver, it produces plenty of sound and uses a neodymium stereo amplifier. 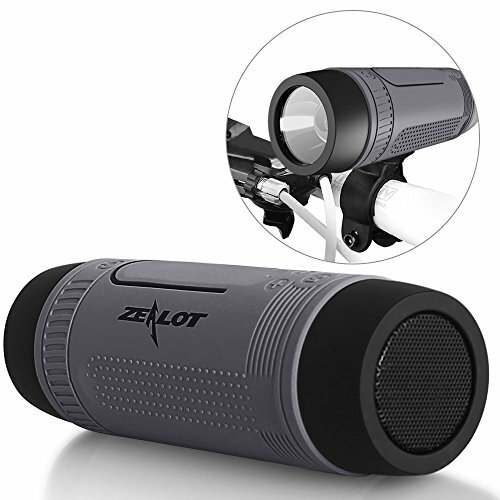 The Zealot S1 bicycle speaker can be used for music, and it will also allow you to answer calls. 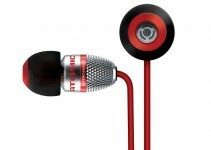 It draws power from a rechargeable battery and offers 24 hours of continuous audio. It even doubles as a backup power source for a smartphone or similar device. Here we have another popular product that proves that simplicity sometimes is best. 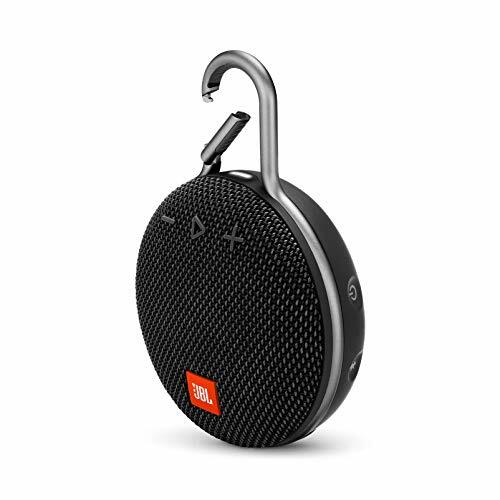 The JBL Clip 3 Portable Bluetooth speaker is perfect for when your out with your bicycle. It simply clips onto your clothes bag or belt loop with it’s durable carbiner. That means your music is not restricted to when your on your bike but you can take it with you once you get to your destination. The speaker can blast powerful sound into your ears and fits neatly into your palm. It comes with a IPX7 waterproof rating so you don’t need to worry about the rain. You can make calls directly through the speaker as it doubles up as a speakerphone. The JBL Clip 3 is a convenient, portable speaker with a sound you would not believe for it’s size. The Ivation Bullet bicycle speaker is very affordable, and it offers several different options for music playback. It can be connected via AUX, MicroSD card or Bluetooth, which are all modern connection options. With a shape like a bullet, this speaker can be taken anywhere, and it’s designed with a small, compact size. You get four color skins included with your purchase, and the Ivation Bullet speaker also comes with matching bike mounts. When used at medium volume, it can deliver 10 hours of audio. To keep your music playing for hours, it uses a rechargeable 820mAh battery, and with a weight of only 3.5 ounces, it’s ideal for bicycling, jogging, hiking and running. If you’re looking for a dedicated bicycle speaker, the Bikonnect could be what you’ve been looking for. The iGad Bikonnect serves as a stretchable phone holder and fits most phones. It supports a variety of MP3 audio formats and can be connected through Bluetooth. It can be used as a power bank for your phone and has two LED bike lights. It accepts audio input from AUX, USB and Micro SD. It’s designed with two powerful speakers, which effectively convert your bike into a music hub. With a 4400mAh battery pack, this bicycle speaker delivers up to 30 hours of audio playback, and it has a mini USB charging interface. 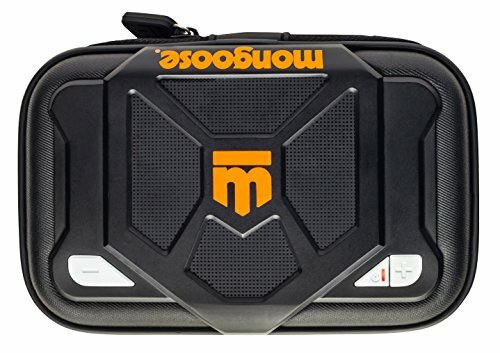 The Mongoose Noise bike speaker features a simplistic design, and it’s designed to work with all MP3 players and smartphones. Since it has a 3.5mm input, you can use an audio cord to connect the speaker to your preferred device. Although it has a speaker, this product also doubles as a case and can be used to protect your device. For easy mounting, it comes with a convenient bike mount. 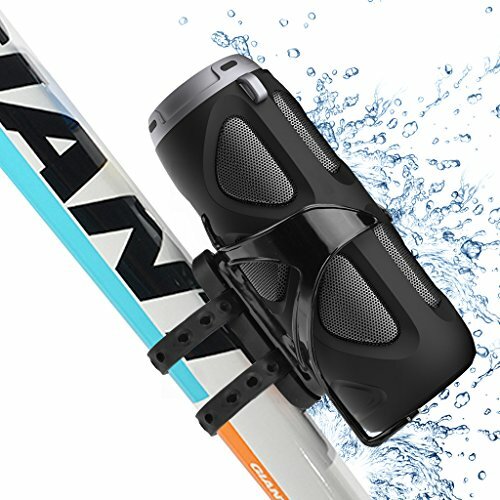 This speaker is designed for bicycle trips in any terrain, and after it has been loaded with three AAA batteries, you can get up to 10 hours of audio playback. The Jackery Boom bicycle speaker costs more money than most of the other products on this list, but it also has more to offer. 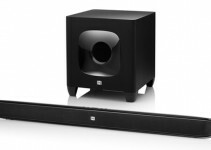 With such a large size, it produces more sound than most of the alternatives. Since it has an IP65 rating, it’s ideal for most outdoor activities. 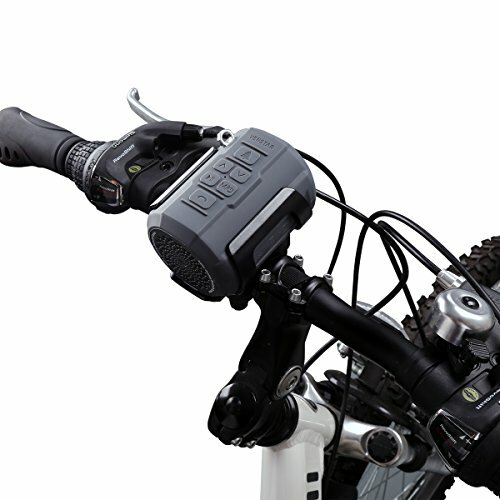 It allows you to take your favorite music tracks on any bike ride and uses Bluetooth connectivity. The speaker is powered with 10 watts, and it sends five watts to two individual stereo drivers. The built-in rechargeable battery provides eight hours of audio playback and doesn’t take long to recharge.